​The integrative medicine consult physicians at the Osher Center for Integrative Medicine have completed fellowship-training in integrative medicine, as well as additional training in functional medicine and innovative treatment strategies. ​An integrative medicine consultation is a time for exploration of your primary concerns and an in-depth review of your whole health history. During the consultation, you and your physician develop a customized health and wellness plan to best fulfill your health needs. Your ongoing care will be coordinated among the Osher Center’s team of practitioners, and may be communicated to any other providers on your healthcare team. During this visit, you and your physician begin to outline how you can best work together to fulfill your health needs. ​Our goal is to assess your health concerns, and then address all possible factors that might be contributing to any health issues, and determine the root cause of your condition. Your Integrative Medicine physician will meet with you, take a detailed personal and family history, and go over your medications, supplements, diet and lifestyle. Recommendations at this time might include further investigations (labs, functional medicine testing, genomics or imaging), and therapies that span complementary and conventional Western medicine approaches. When instituting lifestyle changes, having regular follow-up visits supports success. These appointments allow for discussion of your experiences in trying new therapies or lifestyle changes, review of specialized testing results, and a deeper exploration of mind-body techniques, nutrition and personal issues. Your doctor will help determine the appropriate timing for your return visit. Follow-up visits are generally thirty minutes in length. Please note: Our integrative medicine specialists do not serve as primary care doctors. As such, all patients are asked to have a primary care or similar physician to provide for their ongoing healthcare needs. ​Our office may assist you in locating a primary care provider either within the Osher Center for Integrative Medicine or at an affiliated office if you do not already have one. We are happy to provide documentation of your visits with us to your primary care provider in order to facilitate coordinated and collaborative care. Dr. Melinda Ring serves as the Executive Director of the Osher Center for Integrative Medicine. While earning her medical degree at the University of Chicago, Dr. Ring’s passion for integrative medicine evolved along with her holistic philosophy of needing to treat the whole person, to achieve true health and healing. 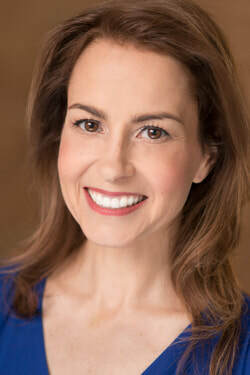 She completed the Fellowship in Integrative Medicine at the University of Arizona, and is board-certified in Internal Medicine and Integrative Medicine, Dr. Ring cares for patients with a wide variety ﻿of conditions and preventive health needs, with a special interest in women's health, dietary supplements, food as medicine and bioidentical hormones. At Northwestern, Dr. Ring oversees the clinical outpatient and inpatient programs, directs medical education in integrative medicine, and conducts research focused on the impact of integrative medicine on health outcomes. She is a Clinical Assistant Professor in the Department of Medicine at the Northwestern Feinberg School of Medicine. Her expertise is reflected in her contribution to textbooks, lectures and articles in the field of Women’s Health and Integrative Medicine. Her book on integrative women’s health, The Natural Menopause Solution, was published in 2014. Dr. Anna Balabanova is the current integrative medicine fellow at the Osher Center for Integrative Medicine, offering integrative consults for adults and children. She was previously Chief Resident at the Northwestern McGaw Family Medicine Residency at Lake Forest. She was born in Russia, continuing to speak fluent Russian, and spent much of her life in Colorado Springs, Colorado. As an athlete and figure skating coach who earned a US Figure Skating Association Gold Medal, she is passionate about diet, exercise, and helping others achieve their health goals. In medical school she chaired the National Student Conference in Integrative Medicine, attended the Leadership & Education Program for Students in Integrative Medicine (LEAPS into IM), and founded the Chicago Holistic and Integrative Medicine Program Series with a grant from the Weil Foundation. As a resident she earned an Outstanding Teacher Award from the Feinberg School of Medicine and was inducted into the Feinberg Academy of Medical Educators. Having attended Northwestern University for undergraduate, medical school & residency she is passionate about the Chicago community, working to bring nutrition and cooking workshops to underserved areas, and has presented her work at the Integrative Medicine for the Underserved national conference. DR. Balabanova believes that health is impacted by physical, mental, spiritual, environmental and other components, and through fer work at the Osher Center aims to address all those areas in her patient care. In her free time she loves spending time with friends and family, marathons & triathlons, figure skating, skiing, cooking, writing, and anything outdoors in nature.